Snowdonia National Park is visited by thousands of tourists each year, due to its magnificent and wild landscape. If you're looking to stay within the heart of this famed national park, the Bryn Tyrch Inn hotel is in the ideal location. Each beautiful and indivually decorated room is named after local mountains and rivers, and features its own gorgeous colour scheme. Each room also has a contemporary and stylish en-suite. Enjoy views of the surrounding valleys and landscape from the comfort of your plush and cosy hotel room. If you're in the area and looking for a bit to eat, the Bryn Tyrch Inn restaurant has a vast range of delicious options to choose from. Offering not only a special Sunday Lunch menu, but a Friday & Saturday lunch menu too - you're sure to feel incredibly satiated after a hearty meal in the Bryn Tyrch Inn. They're also able to host private parties, weddings and business conferences within the hotel. For those who are looking for a secluded and picturesque location to have your wedding or a private party, there's no better place than Snowdonia. Experience the Snowdonia National Park by stopping in a hotel within the heart of it. 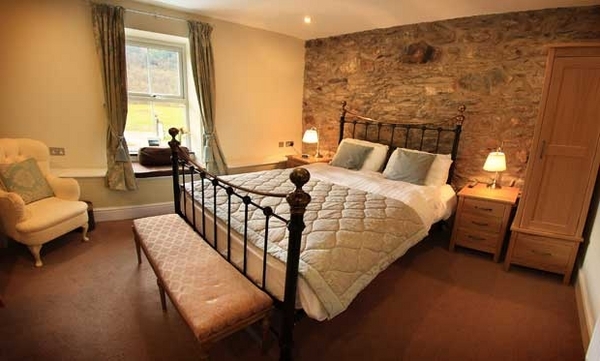 The Bryn Tyrch Inn hotel is located in a scenic and country setting in Capel Curig. Each of its eleven luxury rooms are named after Snowdonia rivers and mountains and feature contemporary en-suites and appliances. Their onsite restaurant features a range of menus and dishes to suit all tastes and dietary requirements. For those not staying at the hotel but are in need of a good traditional Sunday Lunch - their restaurant has a fantastic Sunday menu. The Bryn Tyrch also caters to private parties, business conferences and wedding events.